Aviation Updates Philippines - An All Nippon Airways (ANA) flight emergency landed in the Ninoy Aquino International Airport Terminal 3 on November 21, after pilots reported smoke inside the cockpit. ANA Flight NH950 departed Manila bound for Tokyo at 9:54 am. ACTUAL PHOTO. 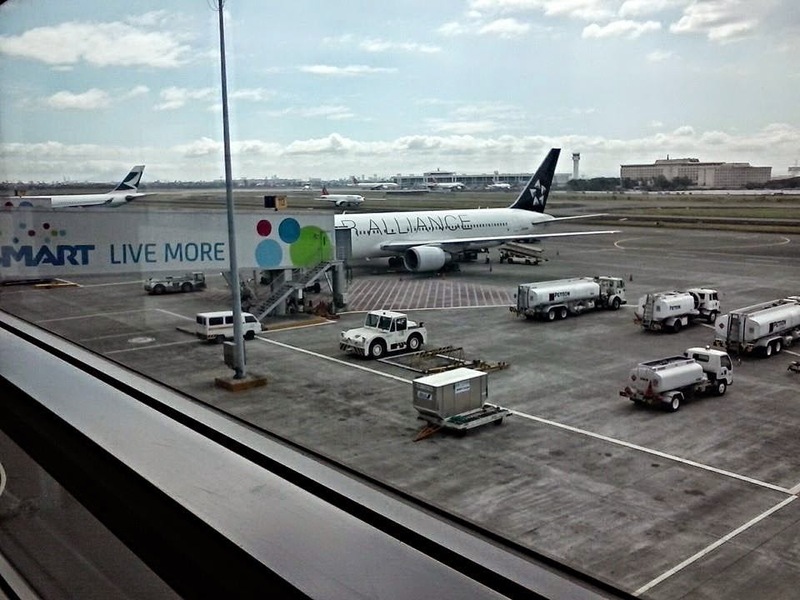 All Nippon Airways Boeing 767 parked at Terminal 3 after the incident. According to initial information, the flight returned back to Manila at 10:29 am due to smoke in the cockpit. However, 175 passengers and 10 crew safely disembarked from the Boeing 767 plane, according to the Manila International Airport Authority. "The plane safely landed and there was no panic. It appears the pilot just followed safety protocols," Arcilla told the Agence France-Presse. The Civil Aviation Authority of the Philippines is currently investigating the cause of the emergency. "An initial report said that after five miles on air, the pilot requested Manila tower for an emergency landing due to smoke in the cockpit and safely landed at 10:19 a.m," the Civil Aviation Authority of the Philippines said. According to Eric Apolonio, spokesman for the Civil Aviation Authority of the Philippines, that it has dispatched two aircraft accident investigators on site at the Ninoy Aquino International Airport Terminal 3 Bay 113 to determine the cause of the incident.